Things are too digital these days. We're always connected to the world at large with a bombardment of news, information, status updates, and reactions. We've been trained by social media to constantly check and re-check our phones or computers for the latest. It's hard to escape from the world of connectivity, as many of us depend on the so-called Internet of Things to run our homes and require the internet to get our jobs done. If you are looking for a way out of all that, even a source of temporary respite, go drive your Porsche. You're on the internet right now reading about this, in case you needed a dose of irony to go along with it. For the owner of this gorgeous Meissen Blue A coupe, profiled by Petrolicious below, that's exactly what this car provides. It's the ability to disconnect from the world and go analog. The joy of the drive should be uninterrupted by texts, updates, and news flash briefings. Pop that iPhone into the glove box, the one originally intended for actual gloves, and focus on the road ahead. Don't let the 'real world' distract you from driving, let the driving distract you from the larger world. Focus on just yourself and the car for a few hours. Hit a great driving road near you, and forget the world. It's clear from the outset that this gorgeous blue car is well cared for, and has been properly maintained. The driver is clearly a vintage Porsche fanatic as he also owns a Porsche tractor for work around the farm. 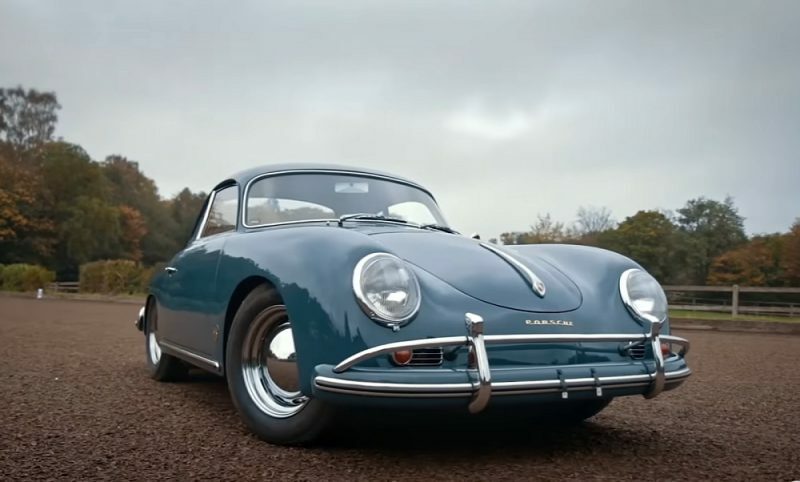 The original German doesn't quite translate how beautiful his passion for this car, and the brand that built it, has been, but the subtitles help a little. If only for the intense joy that can be seen when the protagonist drives the car, give this video a click. Perfect…..Sweet 58′ Great color combo! It’s a keeper!!!! Never goes out of style.